Charles Frederick Boyce was a civil engineer for Norton Griffiths Steel Construction Company. He was later a sales manager for Balfour Guthrie and Company, who were shipping merchants, importers and exporters, and suppliers of building materials. He lived at 891 Chilco Street from 1916 to 1920. He was born on October 18, 1876, probably in Missouri. It appears that his father was Samuel Boyce. In 1895, the family was living in Duluth, Minnesota. Charles went to Cornell University in Ithaca, New York. He took a course in mechanical engineering, which he finished about 1897. On October 13, 1902, in Minneapolis, Hennepin County, Minnesota, he married Itha May Lenox. By about 1904, it appears that Charles and Itha were in Massachusetts. In 1910, they were living in Portland, Oregon. They came to Vancouver about 1910, and they lived at 2458 York Street from 1910 to 1915. From 1916 to 1920, they were at 891 Chilco Street. Charles first had a job as a clerk with Evans, Coleman and Evans, who were suppliers of fuel and cement. By 1912, Charles was working as a civil engineer for Norton Griffiths Steel Construction Company. From 1914 to 1919, he was a salesman for Balfour, Guthrie and Company. In 1918, he registered with the United States draft registration system. He said that his permanent home address was the University Club in Seattle, Washington; he was residing with his wife at 891 Chilco Street in Vancouver. 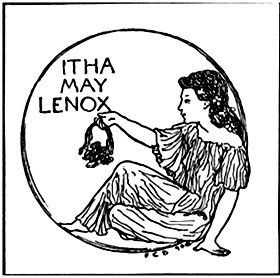 May Lenox Boyce died in Seattle on September 21, 1918. She was buried in Lakewood Cemetery in Minneapolis, Minnesota. By 1920, Charles appears to have started his own iron and steel business. By 1921, he was gone from Vancouver. In the 1922 Cornell University Alumni Directory, Charles gave his address as the University Club in Seattle, Washington. He said that he was in the steel construction business. Charles died in Bellevue, King County, Washington, on February 15, 1953. He was buried in Lakewood Cemetery in Minneapolis, Minnesota. Charles Frederick Boyce and Itha May Lenox had the following child. Charles Frederick Boyce, Junior, was born in Worcester, Massachusetts on March 12, 1904. There is also information on a son called Lenox Boyce, who was also born on March 12, 1904. These are perhaps twins, or they may be the same person, or some information is inaccurate. Some time before 1928, Lenox Boyce married Marianne French Hyland. She was born in Seattle, Washington, on July 21, 1905. Her parents were Ivan Lansdale Hyland (1872-1951) and Helen Phoebe Holmes (1878-1969). In 1928, Lenox and Marianne had twin boys: Ivan Holmes Boyce and Lenox Frederick Boyce, but Ivan lived for 14 days and Lenox lived for 16 days. In 1930, Lenox and Marianne were living in Seattle. By 1940, they were divorced, and Marianne was living with her parents in Seattle, along with Marianne’s children, Richard and Nancy. Lenox Boyce died on November 11, 1968, in Alameda, California. “Minnesota, State Census, 1895,” index and images, FamilySearch (https://familysearch.org/pal:/MM9.1.1/MQDV-HPT : accessed 11 Jul 2014), Charles F Boyce in household of Samuel Boyce, Duluth city, Ward 01, St. Louis, Minnesota; citing p. 31, line 2, State Library and Records Service, St.Paul; FHL microfilm 000565807. “Minnesota, County Marriages, 1860-1949,” index and images, FamilySearch (https://familysearch.org/pal:/MM9.1.1/VKNR-JLL : accessed 11 Jul 2014), Charles Fredrick Boyce and Itha May Lenox, 13 Oct 1902; citing Hennepin, Minnesota, United States; FHL microfilm 001380405. “Minnesota, County Marriages, 1860-1949,” index and images, FamilySearch (https://familysearch.org/pal:/MM9.1.1/VKNR-JLG : accessed 11 Jul 2014), Charles Fredrick Boyce and Itha May Lenox, 13 Oct 1902; citing Hennepin, Minnesota, United States; FHL microfilm 001380405. “Minnesota, County Marriages, 1860-1949,” index and images, FamilySearch (https://familysearch.org/pal:/MM9.1.1/QJGB-MPC4 : accessed 11 Jul 2014), Charles F. Boyce and Itha May Lenox, 14 Oct 1902; citing Minneapolis, Hennepin, Minnesota, United States; FHL microfilm 1380442. “United States Census, 1910,” index and images, FamilySearch (https://familysearch.org/pal:/MM9.1.1/MLB9-TW5 : accessed 11 Jul 2014), C F Boyce, Portland Ward 2, Multnomah, Oregon, United States; citing enumeration district (ED) 130, sheet 7B, family 181, NARA microfilm publication T624, FHL microfilm 1375298. Vancouver directories: 1910 to 1921. Charles Frederick Boyce, birth dated October 18, 1876, draft registration, Seattle City no 6, Washington, United States, “United States World War I Draft Registration Cards, 1917-1918,” index and images, FamilySearch (https://familysearch.org/pal:/MM9.1.1/29JW-FGD : accessed 11 Jul 2014), Charles Frederick Boyce, 1917-1918; citing Seattle City no 6, Washington, United States, NARA microfilm publication M1509, (Washington D.C.: National Archives and Records Administration, n.d); FHL microfilm 001991893. “Washington, Death Certificates, 1907-1960,” index, FamilySearch (https://familysearch.org/pal:/MM9.1.1/N3BC-B7P : accessed 11 Jul 2014), Charles Fredrick Boyce, 15 Feb 1953; citing Bellevue, King, Washington, reference 2765, Bureau of Vital Statistics, Olympia; FHL microfilm 2033238. “United States Census, 1870,” index and images, FamilySearch (https://familysearch.org/pal:/MM9.1.1/M86B-JBB : accessed 11 Jul 2014), Milton Lenox in household of Walter Lenox, New York, United States; citing p. 9, family 86, NARA microfilm publication M593, FHL microfilm 000552411. “Minnesota, Death Records, 1866-1916,” index, FamilySearch (https://familysearch.org/pal:/MM9.1.1/XPD3-QY3 : accessed 11 Jul 2014), Milton Frederick Lenox, 23 Aug 1907; citing Minneapolis, Hennepin, Minnesota, Public Health Center, St. Paul; FHL microfilm 1499038. “Minnesota, Deaths and Burials, 1835-1990,” index, FamilySearch (https://familysearch.org/pal:/MM9.1.1/FDMY-1WL : accessed 11 Jul 2014), Milton F. Lenox, 23 Aug 1907; citing Minneapolis, Hennepin, Minnesota, reference ; FHL microfilm 2117568. “Michigan, Marriages, 1868-1925,” index and images, FamilySearch (https://familysearch.org/pal:/MM9.1.1/N3L8-57L : accessed 11 Jul 2014), Milton F. Lenox in entry for John R. Lenox and Ethel F. Campbell, 12 Apr 1913; citing Muskegon, Muskegon, Michigan, p 8 rn 8715, Department of Vital Records, Lansing; FHL microfilm 2342702. “Minnesota, State Census, 1895,” index and images, FamilySearch (https://familysearch.org/pal:/MM9.1.1/MQDZ-54X : accessed 11 Jul 2014), May I Lenox in household of M F Lenox, Minneapolis city, Ward 08, Hennepin, Minnesota; citing p. 1, line 16, State Library and Records Service, St.Paul; FHL microfilm 000565780. “United States Census, 1900,” index and images, FamilySearch (https://familysearch.org/pal:/MM9.1.1/M9SJ-TSY : accessed 11 Jul 2014), Itha M Lenox in household of Milton F Lenox, Election District 13 Minneapolis city Ward 8, Hennepin, Minnesota, United States; citing sheet 3A, family 39, NARA microfilm publication T623, FHL microfilm 1240769. “Washington, Death Certificates, 1907-1960,” index, FamilySearch (https://familysearch.org/pal:/MM9.1.1/N3G3-489 : accessed 11 Jul 2014), May Lenox Boyce, 21 Sep 1918; citing Seattle, King, Washington, reference 2374, Bureau of Vital Statistics, Olympia; FHL microfilm 1992535. Find A Grave, Find A Grave Memorial# 93093903, May Lenox Boyce; http://www.findagrave.com/cgi-bin/fg.cgi?page=gr&GRid=93093903; Birth: unknown; Death: Sep. 21, 1918; Burial: Lakewood Cemetery, Minneapolis, Hennepin County, Minnesota, USA; Plot: Section 17 Lot 164 Grave 4. “Massachusetts, Births, 1841-1915,” index and images, FamilySearch (https://familysearch.org/pal:/MM9.1.1/FXHG-GND : accessed 11 Jul 2014), Itha M. Lenox in entry for Charles F. Boyce Jr., 12 Mar 1904; citing Worcester, Massachusetts, p 458 #343, Massachusetts Archives, Boston; FHL microfilm 2057438. “United States Census, 1910,” index and images, FamilySearch (https://familysearch.org/pal:/MM9.1.1/MLB9-TWT : accessed 11 Jul 2014), Lenox Boyce in household of C F Boyce, Portland Ward 2, Multnomah, Oregon, United States; citing enumeration district (ED) 130, sheet 7B, family 181, NARA microfilm publication T624, FHL microfilm 1375298. “New York, Passenger Arrival Lists (Ellis Island), 1892-1924,” index, FamilySearch (https://familysearch.org/pal:/MM9.1.1/JNHL-VP6 : accessed 11 Jul 2014), Lenox Boyce, arrived at New York, 27 May 1924, on the Republic; citing National Archives, Washington D.C.
“California, Death Index, 1940-1997,” index, FamilySearch (https://familysearch.org/pal:/MM9.1.1/VPNW-GPP : accessed 11 Jul 2014), Lenox Boyce, 11 Nov 1968; citing Department of Public Health Services, Sacramento. “United States Social Security Death Index,” index, FamilySearch (https://familysearch.org/pal:/MM9.1.1/V95D-CY6 : accessed 11 Jul 2014), Lenox Boyce, Nov 1968; citing U.S. Social Security Administration, Death Master File, database (Alexandria, Virginia: National Technical Information Service, ongoing). “United States Census, 1920,” index and images, FamilySearch (https://familysearch.org/pal:/MM9.1.1/MHNY-NY9 : accessed 11 Jul 2014), Marianne Hyland in household of Ivan H Hyland, Seattle, King, Washington, United States; citing sheet 4B, family 89, NARA microfilm publication T625, FHL microfilm 1821930. “United States Census, 1930,” index and images, FamilySearch (https://familysearch.org/pal:/MM9.1.1/XC3D-K2H : accessed 11 Jul 2014), Marianne H Boyce in household of Lenox Boyce, Seattle, King, Washington, United States; citing enumeration district (ED) 0179, sheet 10A, family 75, NARA microfilm publication T626, roll 2501. “United States Census, 1940,” index and images, FamilySearch (https://familysearch.org/pal:/MM9.1.1/K936-FXT : accessed 11 Jul 2014), Marianne Hyland Boyce in household of Ivan L Hyland, Tract Q-1, Seattle, Seattle Election Precinct, King, Washington, United States; citing enumeration district (ED) 40-287, sheet 5A, family 93, NARA digital publication of T627, roll 4382. “Washington, Death Certificates, 1907-1960,” index, FamilySearch (https://familysearch.org/pal:/MM9.1.1/N3PG-93G : accessed 11 Jul 2014), Ivan Holmes Boyce, 11 Jun 1928; citing Seattle, King, Washington, reference 1747, Bureau of Vital Statistics, Olympia; FHL microfilm 2022480. (son of Lennox Boyce and Marianne Hyland). “Washington, Death Certificates, 1907-1960,” index, FamilySearch (https://familysearch.org/pal:/MM9.1.1/N3PG-SSD : accessed 11 Jul 2014), Marianne Hyland in entry for Lenox Frederick Boyce, 14 Jun 1928; citing Seattle, King, Washington, reference 1787, Bureau of Vital Statistics, Olympia; FHL microfilm 2022480.